No photos yet–my vegetable plot is just bare soil (dark and well-drained, enriched with homemade compost at least twice a year)–but yesterday I dug out some grass that was encroaching on my plot in the Glen Rock Community Garden and weeded a small area, and today I scattered seeds of a mesclun mix in that area. The gentle rain means I didn’t even have to water them in. Speaking of seeds, I notice in my walks around towns that many lawn services have scattered lawn seed for their clients. It’s too early to seed a lawn, because the nights are still chilly, but if you are one of those clients, make sure you water the seeds at least twice a day until they have germinated and the new grass is at least an inch tall. Otherwise, you’re wasting both money and seed. Better yet, in future tell the lawn service not to seed unless they do it properly, preferably in early fall And make sure they use a seed mix that’s right for the specific site. Seeding a lawn is quite simple, but it does involve more than scattering seed. Another thing that homeowners and lawn services like to scatter is lawn fertilizer or a combination product (fertilizer, pesticides, and herbicides). Again, it’s too early to fertilize, so you’re paying for something you don’t need. According to the most recent research on lawn care, lawns need no more than one feeding per year of slow-release organic fertilizer, not petroleum-based chemical fertilizer, and the best time to apply it is around Labor Day. Better yet, stop feeding altogether and rely on lawn clippings and fallen leaves to recycle nutrients back into the soil. The 4- or 5-step lawn care plan that many homeowners follow primarily benefits the chemical companies that manufacture the products and the lawn services that apply them. Each spring, I grow salad from seed. Nothing could be easier–all you need is some seed and some sun. This year, because the spring weather was quite cold, I began on March 31. 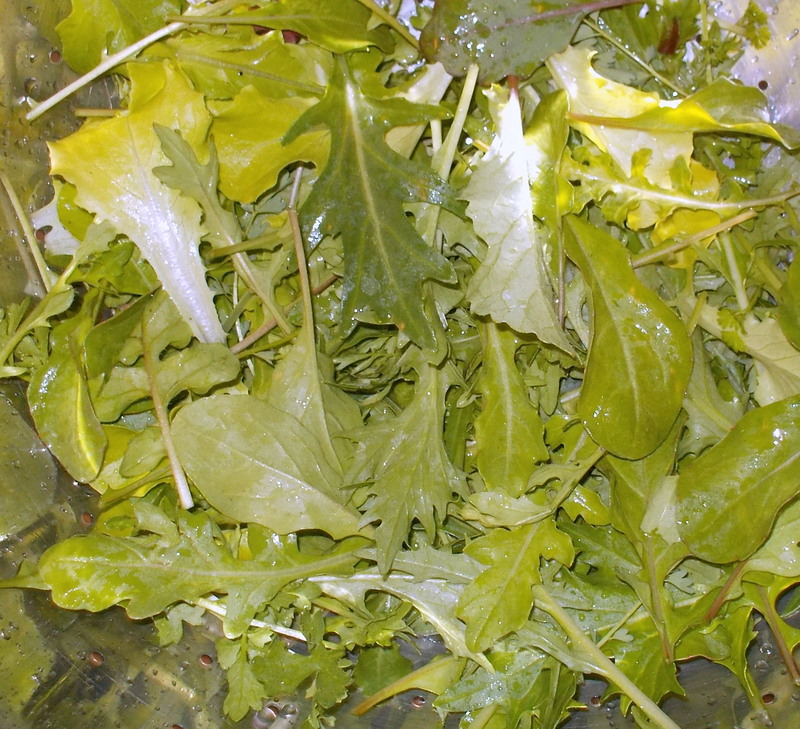 I used seeds of Provencal Mix and Cook’s Zesty Blend, plus arugula and mache, from The Cook’s Garden. I sowed the seeds directly onto the ground in a sunny spot (each 2-gram packet comfortably covers about 4 to 6 square feet). Caring for the plants could not be simpler. 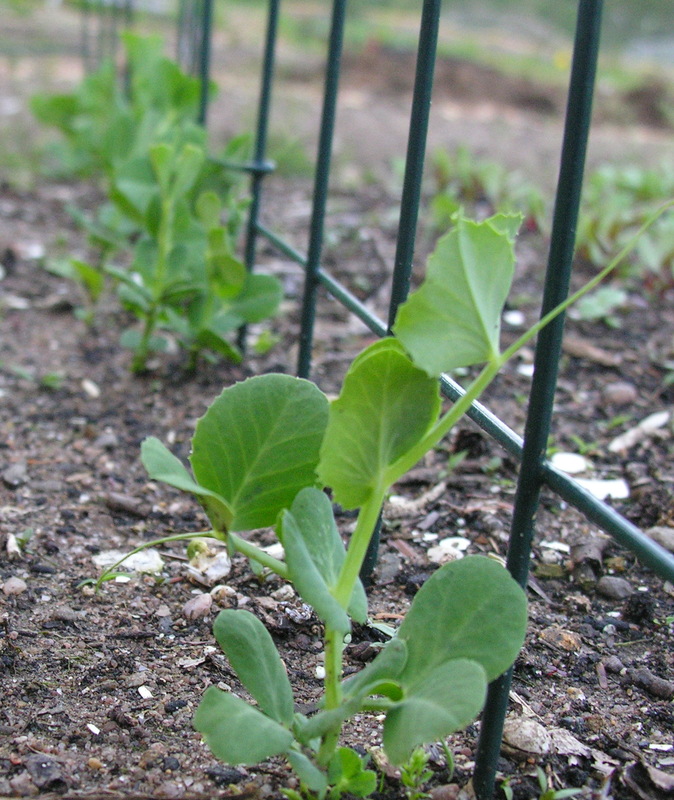 Keep the ground damp until the seeds germinate. Water if there’s no rain. 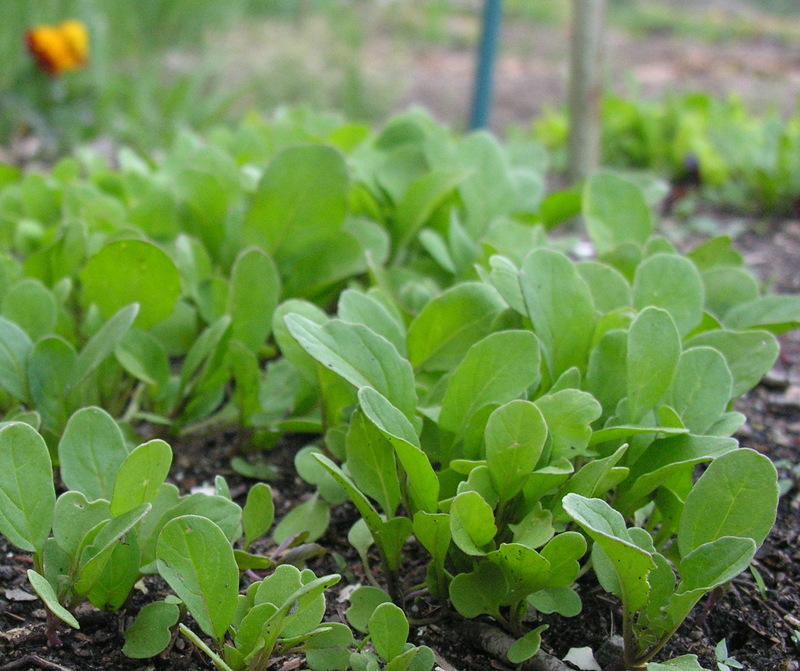 Start picking when the plants get crowded, or when the individual leaves are the size of the leaves in the very expensive mesclun mix you buy at the gourmet store. Pick enough for that day, wash well, dress with good wine vinegar and olive oil, and enjoy. I expect to keep harvesting these greens until the weather gets hot. Then the plants will bolt, or begin to form flower stalks and seedheads. At that point, the leaves will taste bitter, so we will pull up the plants, compost them, spread some compost on the ground, and plant warm weather crops such as eggplants and tomatoes in the same spot (remember that my whole vegetable garden is about 6 x 16 feet). Delicious greens like these need the simplest possible dressing. If you’ve never made vinaigrette from scratch, you can’t believe how easy it is: for a salad for two people, put 1 1/2 tsps. of good-quality wine vinegar in a little bowl. Add salt and pepper. Add about three times as much fruity olive oil as vinegar and beat with a fork or small whisk. Taste the dressing–you might want more salt or more olive oil. Pour the dressing over the salad and toss well. Enjoy the first greens of spring!